Looking for a way to instantly make any room feel bigger, brighter, and more open? Then our uPVC double glazed bi fold doors are just the thing for you! With a wide range of different options to choose from, our bi fold doors are a perfect fit in any home. 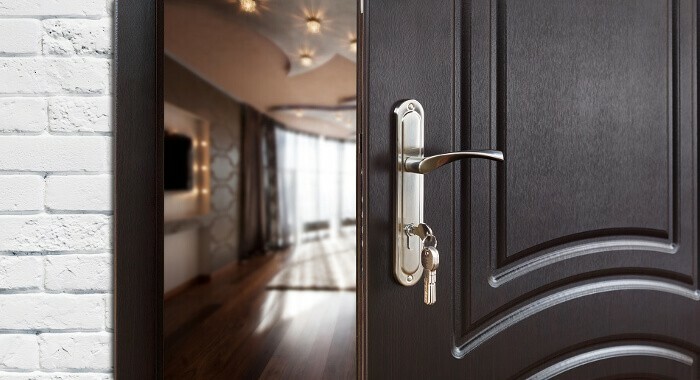 Secure, energy efficient, and in a great range of styles, colours, and finishes, come and discover what makes Advanced Choice the number one choice for uPVC doors in Scotland. 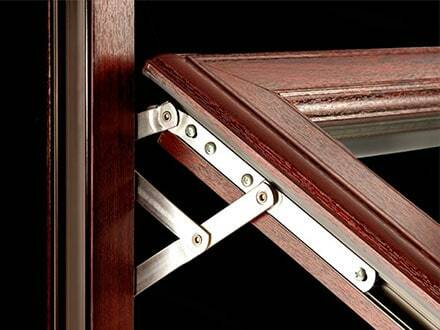 What Makes Our Double Glazed Bi Fold Doors So Special? Bi fold doors are great because they offer you so much choice with your space. Inside your home, they can fold away when needed to give you a single, seamless space. Then, when the party’s over, they can be closed up again to split the room in two. Not only does this really open up your options with a larger room, but since our bi fold doors are glass, they don’t block out the light. You get all the benefits of a partition wall, with none of the downsides! The same thing goes for exterior bi fold doors. They help to blur the lines between indoors and outdoors, which is perfect for parties. They also encourage you to make more use of your garden, since they are so easy to open and close. No longer do you have to choose between one or the other- instead, bi fold doors bring your home and garden together into one smooth, uninterrupted space. We only use the highest quality bi fold doors in all our installations, because we believe our customers deserve the very best. uPVC is an incredibly durable yet low-maintenance material, so you won’t have to worry about cleaning or repainting them. All it takes is a quick wipe with a damp cloth, and your double glazed bi fold doors will look as good as new! As for the glass, double glazing is the obvious choice when it comes to doors. By locking in heat, they help to make rooms so much more comfortable in the colder months. Interior bi fold doors can make a huge difference, since when they are closed they split a room up into two spaces that are much easier to heat. No longer will you have to crank the heating all the way up to stay warm- and that means saving a fortune on your energy bills! What’s more, thanks to our long-standing relationships with suppliers, we can secure great deals and then pass those savings on to our customers. It’s Time to Open Up the Space in Your Home Today! As well as providing the very best double glazed bi fold doors, we also pull out all the stops when it comes to installation, too. It all starts with a completely free, no-obligation survey to show you what we can do, and see where bi fold doors will fit in your home. if you do choose to buy from us, then the survey also ensures that we can get everything done quickly and smoothly. Next, it’s time to pick your new bi fold doors- and at Advanced, the choices are endless! With so many different styles on offer, our sales team will help guide you through the buying process to find the perfect bi fold doors for your home. We’ll then arrange an installation date that suits you best, to make things as easy as possible for you. Even once the job is done, the Advanced Group’s service doesn’t end there. All our work is covered by an amazing 15-year guarantee, so if you experience any issues with your new bi fold doors, we will be happy to perform any necessary repairs or replacements free of charge! So, if you’re ready to add some extra value to your home, and open up more options for your available space, then get in touch with the Advanced Group today. Simply fill out the form below to request a quick quote, or call us free on 0800 316 7981 to arrange your no-obligation survey. We’re always happy to help!